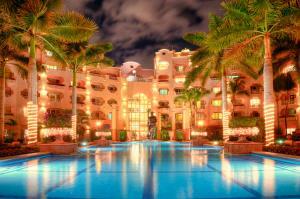 THIS IS A ONE-WEEK (7 NIGHTS) RENTAL OF OUR TIMESHARE AT PUEBLO BONITO ROSE' IN CABO SAN LUCAS, MX. PLEASE TEXT WITH ALL QUESTIONS TO 502 773-3121. When staying in a Pueblo Bonito Resort, you will have access to the other facilities in this family-owned chain. Next door to the Rose' is Los Cabos with two restaurants and pool. Rose' offers a several restaurants and a fabulous spa and gym. It's a close walk into the main part of town with the mall, marina, and tiny little shops everywhere. The shuttle to Sunset Beach, Monte Cristo, and Pacifica is free. There you have access to the chapel, spas, 14 restaurants, the chocolate shoppe, ice cream bar, Asian, Mexican, Italian restaurants, the Bistro, and a 50's Diner. ALL PAYMENTS TO BE MADE THROUGH PAYPAL. 100% TO BE PAID AT TIME OF RESERVATION. 50% REFUND IF CANCELLATION OCCURS NO LATER THAN November 1, 2018. Junior Suites feature over 540 square feet of living space, including two double beds or one king bed (available upon request), an open living area with table and chairs, a large bathroom, and a fully accessorized kitchenette with service for four. The private balcony or terrace will have a pool and garden view, and ocean view can be requested. Junior Suites can accommodate up to four guests -- really best for parents and two children.